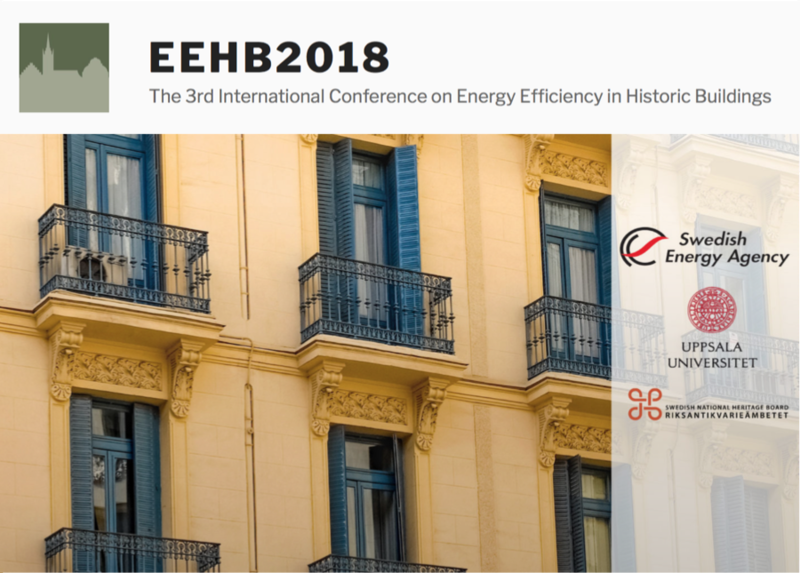 The 3rd International Conference on Energy Efficiency in Historic Buildings aims to present new research and best practice on a wide range of topics relating to energy efficiency in historic buildings. There will be no predefined topics for the conference. The abstracts will be selected based on their relevancy to the general theme of the conference, novelty, quality, advancement of the field and state of completion. On the one hand, historic buildings stand for a considerable part of societal energy use and the pressure to reduce energy costs and greenhouse gas emissions is increasing. On the other hand the historic building stock is an important cultural and material resource that we need to manage carefully for the benefit of present and future generations. Thus we must find ways to balance the needs of building conservation and energy conservation to facilitate a truly sustainable management of historic buildings. This calls for research on a multitude of aspects with various scientific perspectives from the natural sciences and engineering to the social sciences and humanities. – Laws, regulations and policies at international, national and local level. Conflicts of interest? – Supporting decision making for buildings as well as building stocks. – Understanding the building as a technical system: Simulations, risk assessment of measures, balancing supply side and demand side. – Multi-criteria assessment of measures: A life cycle perspective on energy performance and economics integrated with the impact on heritage values and aesthetics. – User aspects in planning of energy retrofits and energy management: attitudes, lifestyles and collaboration. – Values and valuation: Historic buildings are defined by their heritage significance. How is this defined and introduced into the decision making process? – Best practice presenting state of the art both in terms of achieved results and decision processes. – The need for training and education, knowledge sharing and critical analyses of the science-practice gap. The conference will be held in Visby, Sweden, September 26-27, 2018.